My mother, Susan, was the quintessential crafter. You name it; she did it and did it beautifully. But with all her hobbies she would eventually find a new interest and move on to the next one. That is until quilting. In 1989 a friend asked mom to take a quilting class with her. She actually didn’t even want to since she had never really enjoyed sewing. Since it was her friend asking she agreed thinking, “Well, it is only one class.” As they say, the rest was history. 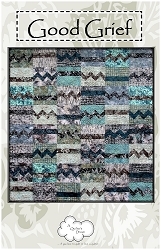 She fell in love with all aspects of quilting and quickly became an avid quilter. In 1997 my mother first talked about her dream of opening a quilt shop and by the end of the year A Quilter’s Dream was born! Her passion was contagious and I became very interested in the fabric selection, merchandising and packaging aspects of the business. By mid 1998 we were working at the business together full time. 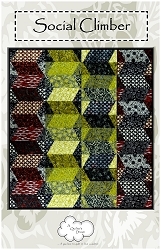 As the business grew, we branched out into shows and began to emphasize quilt kits using eclectic fabric selections. Another of my mothers’ dreams was to someday live in Lake Arrowhead. We made that dream come true in 2002. Susan is still very active with the store creatively and makes a large number of our samples. 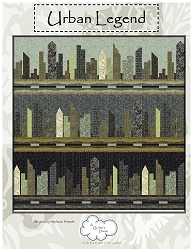 I began to focus even more on shows, specialty kits and, more recently, quilt design. A Quilter's Dream closed its storefront at the end of 2008. We are continuing to take our shop on the road vending at quilt shows all over the country. Our in house pattern designs are quickly becoming known throughout the quilting world as more and more shops have begun to carry our patterns. Some of our designs have been featured in magazines as well as Keepsake Catalog and Hancocks of Paducah. Kits continue to be our niche combining a variety of fabric genres in unexpected ways. As A Quilter’s Dream continues to evolve we are mindful of staying true to my mothers dream which is to offer services that showcase a variety of styles and genre, considers education part of the social nature of quilting, and offers customer service that makes everyone feel at home. I am excited to see where A Quilter's Dream is headed next and hope that you will be a part of it.